Isthmian League Premier Division. Saturday 21 October 2017, 3:00pm. Town will be back in league action this weekend for only the fourth time in their last ten matches. The AGP Arena welcomes Enfield Town from North London. Enfield were in F.A. Cup action last weekend and recorded a very respectable 2-2 draw at Maidstone United before losing the replay 3-1 on Tuesday night. Prior to their exploits in the F.A. Cup Enfield enjoyed home wins against Margate and Hendon. Enfield Town were formed in 2001 and became members of the Essex Senior League ending the season as runners-up behind Leyton. They were crowned champions the following season. They joined the Eastern Division of the Southern League for one season and then became members of the Isthmian League for the 2006-07 season. After six seasons in Isthmian 1 North they finished as runners-up and beat Grays Athletic in the play-offs to gain promotion. 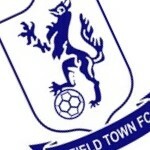 Billericay Town first met Enfield Town on 10 November 2012 at New Lodge for a F.A. Trophy Third Qualifying Round match. The Blues won the match 3-2 thanks to goals from Jay May, Glenn Poole and Rob Swaine. The two clubs have met on eleven occasions. Both sides have won four of the matches, scoring twenty times, with the other three matches being drawn. 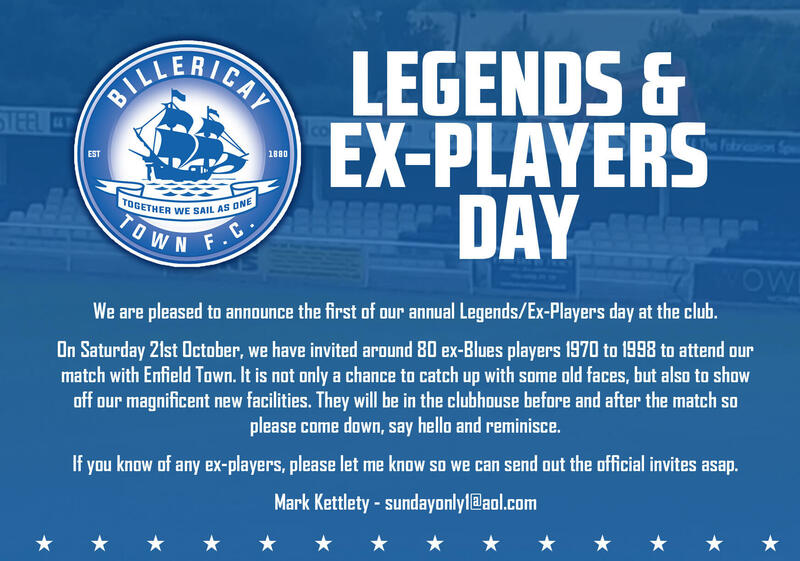 This Saturday the club will hold it’s first annual legends/players day as around 80 former players and legends will be in the clubhouse before and after the match.